This project is starting in 2019 and aims to provide resources for schools to teach at least fifty words in their local language. We are asking for contributions of at least 50 words in as many Australian Indigenous languages as possible. The typed words need to be listed in a spreadsheet, with audio file recordings attached. Full instructions on capturing the details will be provided to participants. The words will be used as teacher resources; in apps; and online language resources (such as the Gambay map by First Languages Australia). If you would like further information or to add your language to the wordlists please email RUIL. Chief Investigators: Professor Rachel Nordlinger and Associate Professor Nick Thieberger, resourced by the Research Unit of Indigenous Language. The Getting in Touch bird apps enable people to listen to recordings of language names for birds alongside photographs of birds and the sounds of their calls. The apps present short stories about birds as well, telling about their cultural significance, behaviour and habitats in Indigenous languages and in English. Knowledge of plants and animals and their place in country and culture is highly valued by Indigenous peoples. Digital technologies have a role to play in maintaining and respecting this knowledge, and passing it on to the next generations. The idea of sharing resources and expertise and making apps for a number of languages began at the Getting in Touch workshop in Alice Springs in Central Australia in April 2014. Language teams from Indigenous communities, linguists and technology specialists came together to discuss the development of digital tools that meet community goals of maintaining language and cultural practices. The project arose out of concern that the majority of digital resources available to Indigenous users are in English, even though English is not a first language for many. At the workshop Indigenous ecological knowledge was one of several domains that emerged for app development, alongside kinship and apps to support knowledge of mental health and emotional states. 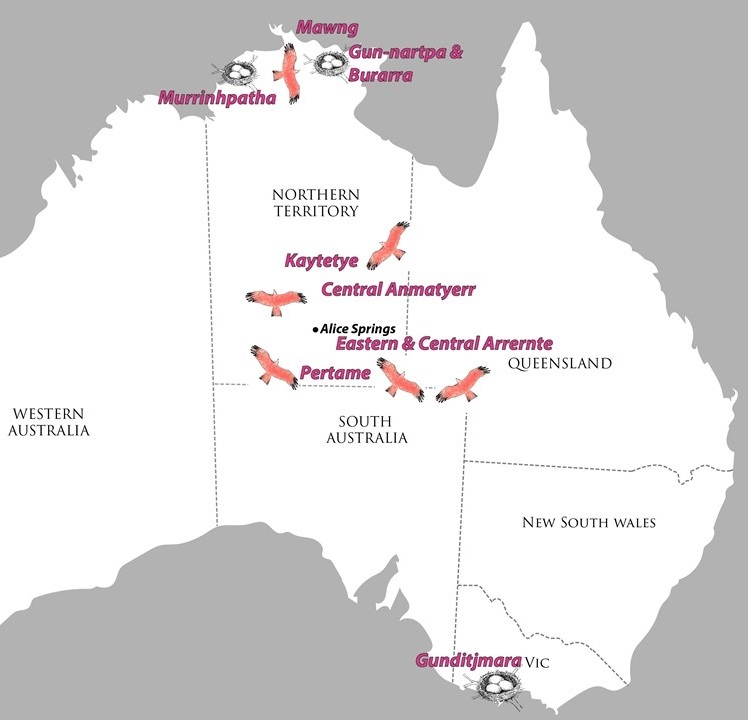 The first app from this project, a Kaytetye bird app called Thangkerne Kaytetye Birds, was developed by Ben Foley, Margaret Carew (Batchelor Institute), Myfany Turpin (University of Sydney), and Alison Ross (Artarre community), and released in 2015. The first version of Thangkerne was based on open source software developed by Museum Victoria for flora and fauna field guides. 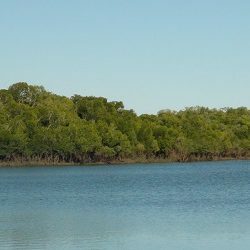 The new apps are using the open source Jila framework, developed by ThoughtWorks with Mabu Yawuru Ngan-ga, the Yawuru language centre in Western Australia. 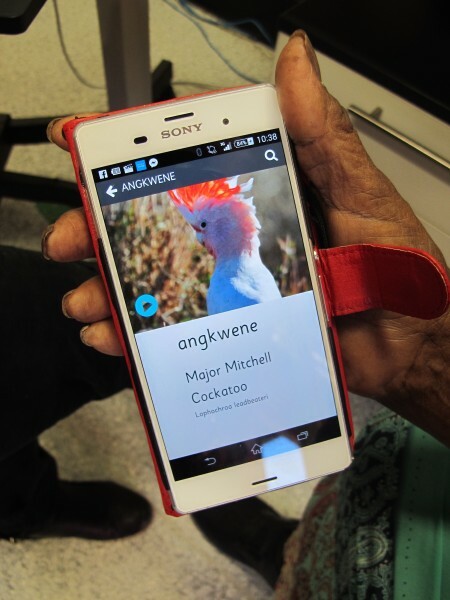 In May 2017 the Arrernte bird app was released as a companion app for a beautiful book Ayeye Thipe-akerte: Arrernte stories about birds: read more about the project on the Centre for Aboriginal Languages and Linguistics website. Another combination of book and companion app was released in 2017: Nga-ni kun-red ngarduk man-djewk na-kudji ‘A year in my country’ is a book about seasons on Kune country by Jill Yirrindili and Aung Si, with illustrations by Jennifer Taylor. 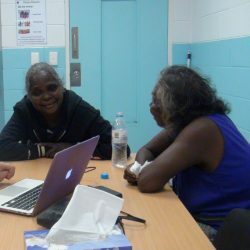 Read more about the project on the Centre for Aboriginal Languages and Linguistics website. Below is a list of all apps publically available so far: search the name in your preferred app store, and download the apps to your own device! The Getting in Touch project was jointly funded by the Melbourne Social Equity Institute (The University of Melbourne), RUIL (Research Unit for Indigenous Language, The University of Melbourne), BI (The Batchelor Institute of Indigenous Tertiary Education) and FLA (First Languages Australia). Continuing work on app development is jointly managed and funded by RUIL and Batchelor Institute. This project aims to investigate how traditional sign languages are used in Indigenous communities. 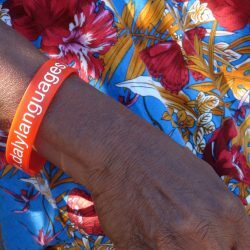 Traditional sign languages are part of everyday life in Indigenous communities in central and northern Australia. The project aims to investigate how speech and sign are coordinated, the ways that new signs are added to traditional repertoires, and the ways that other forms of communication, such as drawing, are used together with sign. It is intended that the results of the study will assist Indigenous people in safeguarding their cultural heritage, and support cross-cultural communication in the education, health and legal sectors, and contribute to international debates about how sign languages of the world vary. How can Central Australian Indigenous people better access their cultural records held in dispersed collections? How can systems be established that enable efficient and culturally appropriate mobilization of archival materials? How can archival access be established in ways that do not violate cultural protocols surrounding rights of access to and dissemination of cultural information? This project will apply current research on archiving and community access to find practical solutions to managing the large amounts of recorded cultural material of interest to the Central Land Council and its constituents. It will identify and integrate information in a common database, work with community members to create a prioritised list of at-risk materials, apply locally meaningful categories for managing the archival materials, and develop strategies to support ongoing sustainability of the collections. As well as safeguarding at-risk materials, it will support Central Land Council strategic activities in land management and intergenerational knowledge transfer, and provide a framework for repatriation policy development. 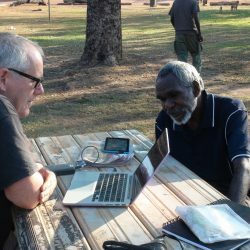 The project takes prior ethnographic observations as a starting point for a systematic investigation that compares similarities and differences between Aboriginal and non-Aboriginal conversational style, using the methodology of Comparative Conversation Analysis, sometimes called Pragmatic Typology, state-of-the-art digital technologies and the microanalytical tools of Conversation Analysis. 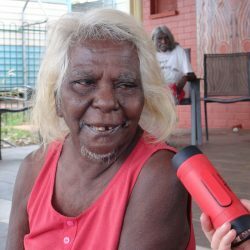 To answer these questions, the project will investigate ordinary conversations from three linguistic communities speaking Murrinhpatha, Garrwa, Jaru and the contact language Kriol, and compare these with analogous non-Aboriginal conversations in Australian English in remote and regional locations. 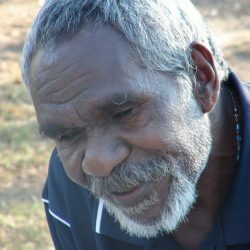 The project expects to provide new evidence to explicate Aboriginal and non-Aboriginal conversational norms, pinpointing differences which may lead to intercultural miscommunication. Expected outcomes include new endangered language documentation, and evidence-based findings to disseminate to service providers, to communities and to Aboriginal organisations to improve ways of engaging with each other. In addition, the project will benefit Aboriginal communities with new approaches to language revitalisation.